Here comes something BLOOP along the way! The BLOOP peeps strikes for the 3rd time with an artwork in the sea! 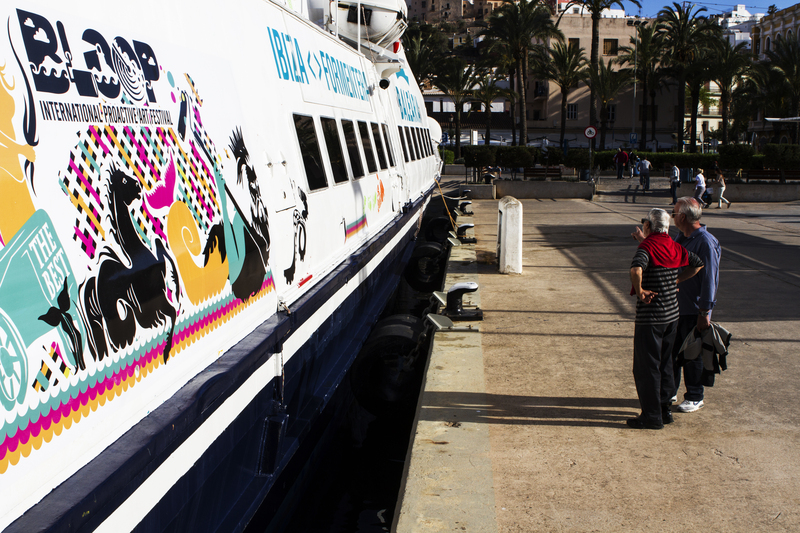 The third preview, a ground -breaking art piece, a moving canvas in the sea, the Maverick ship of Balearia, which connects Ibiza and Formentera. 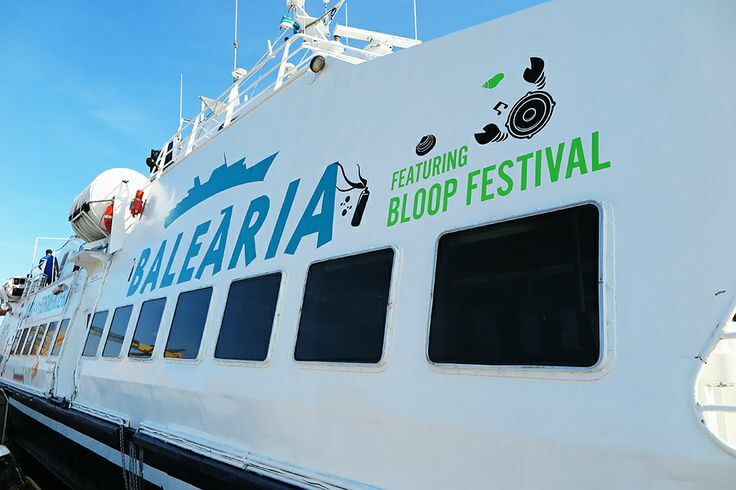 For the 2nd consecutive year of collaboration BLOOP and Balearia bring the first moving canvas in the sea within the festival`s programme. The installation is by Marcello Gatti and Antonio Ribichesu, curated by Biokip Labs. 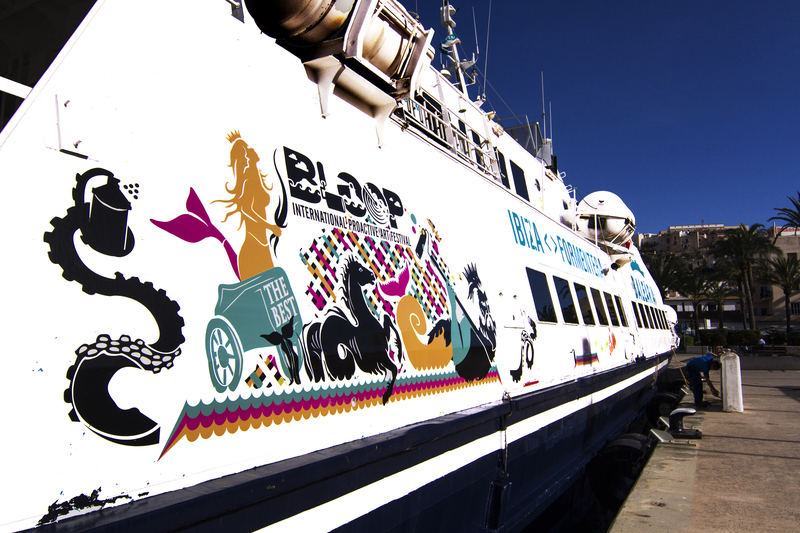 BLOOP and Balearia's moving piece of art can be spotted at the port of Ibiza and Formentera.